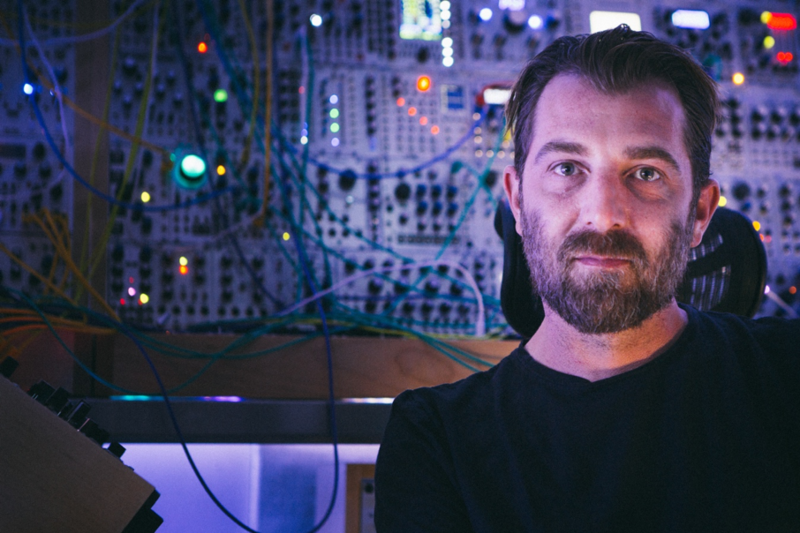 Joseph Fraioli is an award-winning, New York-based sound designer/supervisor, Foley artist, field recordist and music producer striving to create a unique and immersive world that pushes boundaries and surprises listeners through his use of innovative, custom-made sound design. In addition to an impressive portfolio of advertising clients, Joseph has worked on projects for the likes of Kanye West, Kenzo Digital, Lady Gaga and Sonos, including films and TV Series’ such as Kin, Dirty Lies, The Storming and Refuge to name but a few. As an experimental music producer, he’s also released albums for the likes of Planet Mu, Sublight and Voidstar Productions Records over the years. He’s also a devoted fan and regular user of Krotos products, so we were over the moon to get the chance to ask him a few questions about his fascinating career so far. How did you get into the audio industry and why did you eventually choose to focus on sound design, sound supervision, Foley and field recording? Starting at a very early age, film sound in particular was an influence on my creative endeavours. I’ll never forget being 16 years old and going to see Jurassic park, hearing the roar of a T-Rex for the first time. The sound was so perfect, yet so unexpected and unsettling. The first T-Rex scene made my palms sweat it was so terrifying, and all because of that sound. A few weeks later, there was a behind-the-scenes piece on PBS that showed Gary Rydstrom making that T-Rex sound by mixing together different animal sounds, and I was completely blown away. I couldn’t believe someone got to do that for a job and it always stuck with me. I actually got started in post-production though releasing albums of experimental electronic music under the alias “Datach’i”. Back in 2000, the Museum of Modern Art in NYC had heard my music and hired me to sonify an installation about the expansion of the museum. It was during the process of creating sound for this installation that I realized how rewarding it was making sound for picture. Until then, I was basically making sound to the pictures and stories of my imagination. It was so satisfying to have an actual visual image to work with. I also learned a tonne about the process and managed the VO session with the actor, Steve Martin as well as the mix etc. My setup at the time for doing this couldn’t have been more lo-fi. I was literally hitting play on a VHS tape and creating the sounds to a mini-disc four track in real-time. Breaking into the industry proved to be tough and it wasn’t until a few years later that I got another opportunity. Then maybe in 2004, I started doing freelance sound design for production companies and music houses around NYC. It wasn’t until 2008 that I really broke off and started doing my own thing direct to clients, directors and agencies full time. 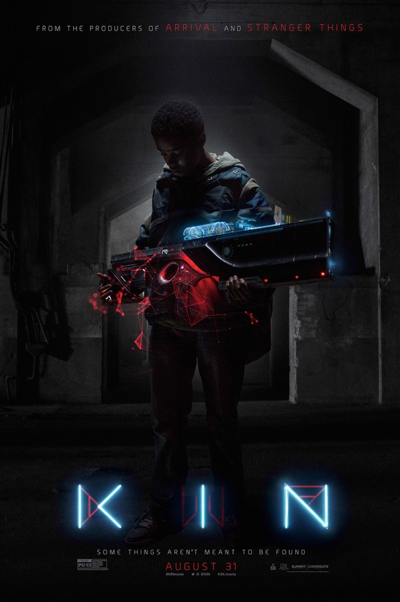 I just finished a feature film called “Kin” that comes out in theatres and IMAX on August 31st. The film is the feature expansion of a short called “Bag Man” that I did with directors Jonathan and Josh Baker back in 2014. The Bakers and I have worked together for many years on commercials and short films. Because of our close relationship, they understand the importance of sound and bought me on very early in the process – in fact, I was the first hire on the movie by producers Shawn Levy and Dan Cohen from 21 Laps (Arrival and Stranger Things) and Jeff Arkus from No Trace Camping (Room). I started thinking about the sound design from the first draft of the script and then started creating sound the first week they were shooting. This was great for many reasons – creatively it helped paint a better picture for the Bakers and picture editor Mark Day, of what the film could be during the picture editing process, especially for VFX scenes before there were any VFX. Additionally, it helped to have a more “finished” track for early screenings for the producers and studio, which really helps support the story and drama. All told, I spent just over 13 months on the film and then a few weeks spread out here and there since the final mix for updates, fixes and alt versions. How do you incorporate Krotos Audio software into your workflow? Like with all software and hardware, my favourite thing to do is find out new and unexpected ways to use it that maybe wasn’t the original intention but serves a unique purpose really well. For example, while Weaponizer is an amazing tool for designing both sci-fi and terrestrial weaponry, when you zoom out conceptually, you can see it’s basically a four channel sampler with all the tools you would want to have to manipulate sound effects in a post-production setting. Once I saw this, I experimented a lot with creating presets (other than weapons) and it has been super-useful, from mech suit/robot footsteps, punches with cloth moves and even sword fights. Here’s a video demo of my mech suit/robot footsteps preset where the onset is the heel, the body is the toe, thump is the weight then the tail is the hydraulics and synthetic robotic sweeteners. It’s then great how these four channels can record into four tracks in Pro Tools, which makes it efficient and organized for mixing. Another Krotos plugin I use a lot is Reformer Pro, but again I came to a process of using it that may not be its original intention. I like to use it to add layers and sweeteners to sounds, using the source as the basis of the amplitude envelope and then automating the position between custom libraries to create a variety of textural overtones that’s great for a variety of purposes such as in this demo video. I’m using Reformer Pro to create sci-fi vehicles out of jets and a motorcycle by using it on an insert of the source sounds track and then automating the position between my custom libraries. Also, with Dehumanizer there’s great algorithms within the modules that are useful for a variety of tasks. I love how smooth the pitch modules are, plus I use the granular and scrubbing convolution modules a lot as well to add texture and unexpected variety to sounds. What do you like most about using Krotos Audio software? I love that the designers and engineers understand the process of creating post-production sound design and the concepts and UIs behind the plug-ins provide a great workflow for many tasks that often could require many different elements of processing. How do you see audio technology evolving in the future? I’d really like to see an expanded use of procedural synthesis, which is something I’ve been using a lot lately. That and higher band spectral analysis and re-synthesis. The limit of most plugin based spectral processes seems to be around 4096 bands, but then you have proprietary CPU based sound design systems like Symbolic Sounds Kyma, where the bandwidth is limited only by the sampling frequency, so you can literally have 192000 bands to play with which is really fun and can yield interesting and more natural results. I’d love to see that kind of bandwidth in a plugin! What’s the greatest sound design-related tip or piece of advice you’ve ever learned? This actually comes from my mom who taught me at a young age that ”necessity is the mother of invention” which is my approach to sound design. When I was around 18 years old, I asked my mom if I could borrow money out of my college fund to buy a synthesizer to make electronic music with. That’s when she dropped this knowledge and I realized there’s a world of sounds around me to explore. It clicked in my brain and that stuck with me forever. Although, she may read this and be like “HUGE mistake” because I never wound up going to college.